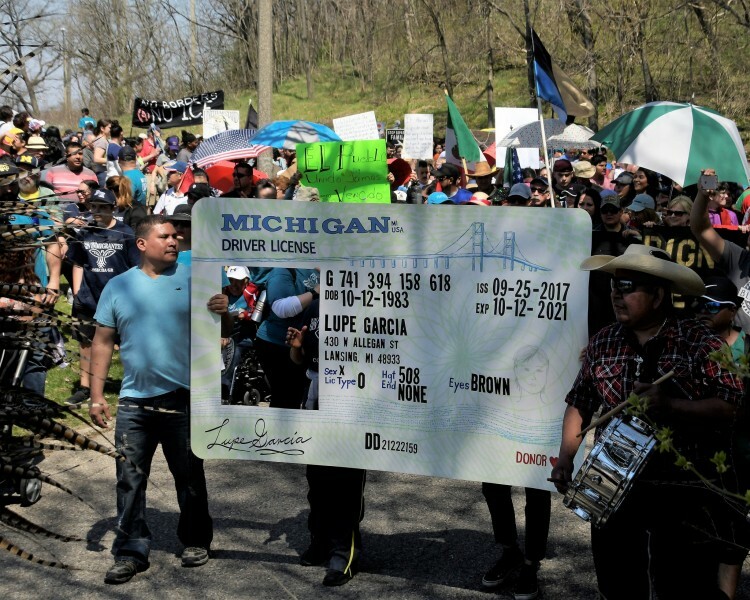 Organized by Movimiento Cosecha, marchers took to the streets of Grand Rapids calling for drivers licenses for all. More than 1,000 people showed up at Roosevelt Park on May 1, 2018, to march from the park to Grand Rapids City Hall in support of immigration rights. 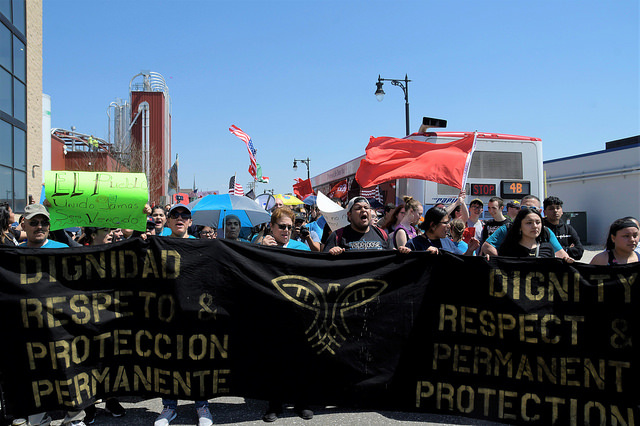 “Today is International Workers Day, we are marching for the protection, dignity and respect of the 11 million undocumented immigrants living in the United states,” said march volunteer Jose Jimenez. 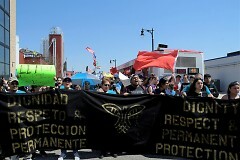 Organized by Movimiento Cosecha GR, this year the march was about the community coming together, and to march in support of drivers licenses for all. Marching north on Grandville Avenue, organizers followed the route that the Grand Rapids Police Department wanted them to take, until they made an unexpected left turn on a side street near Founders. The marchers then turned right onto Market Street where they were able to shut down the on and off ramps to US. 131 for several minutes, causing traffic to back up onto the freeway. Marching in solidarity was Tommy Allen, Grand Rapids Community Relations Commission member. “We have heard many reports from the community, especially the community that is marching here today, that there are real concerns with ICE," Allen said. 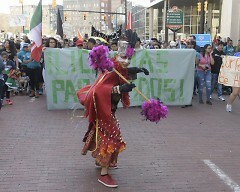 Marchers then made their way through downtown before ending at Calder Plaza.